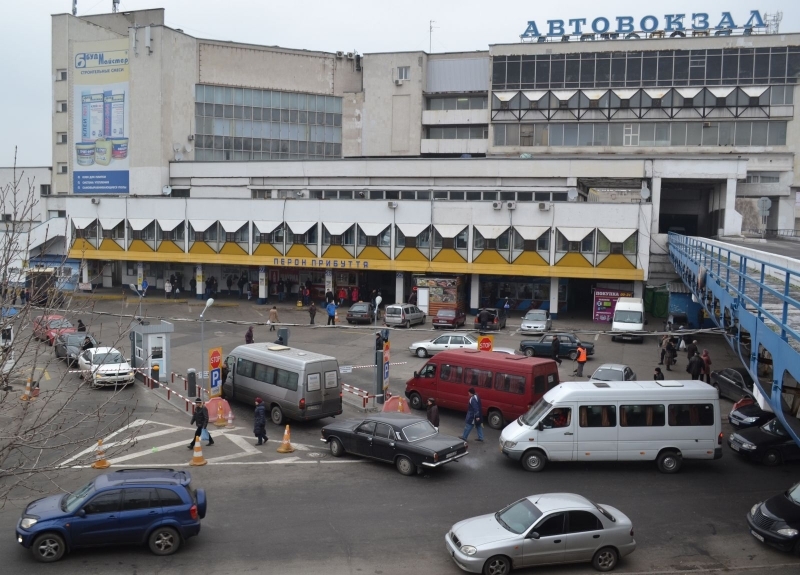 New parking system at the bus station "Dnepropetrovsk Central"
When SEA Company designing parking system for the bus station "Dnepropetrovsk Central" were taken into account the basic requirements of the Customer – at high intensity traffic needed to ensure convenient entry and exit for cargo drivers and passenger transport. To solve this problem SEA Company has designed and manufactured the double level entry and exit terminals. 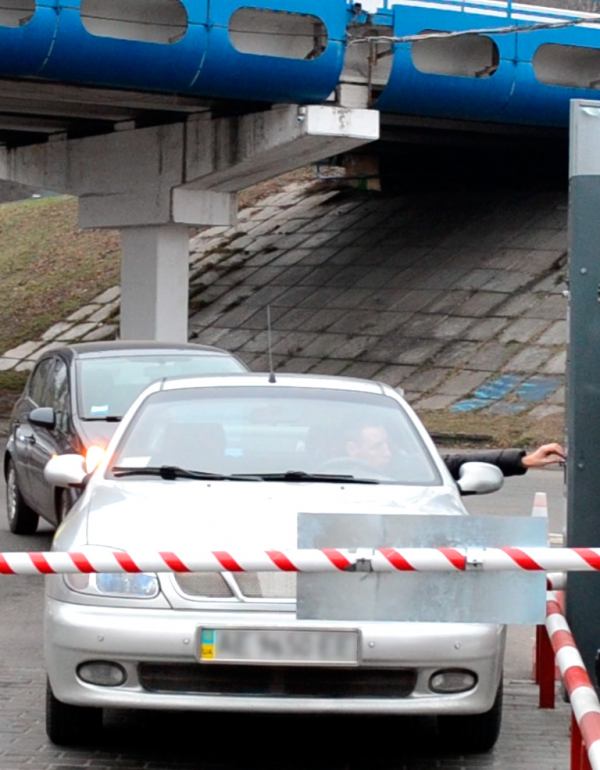 Entry and exit to the territory of the parking lot were organized by the help of contactless plastic cards. 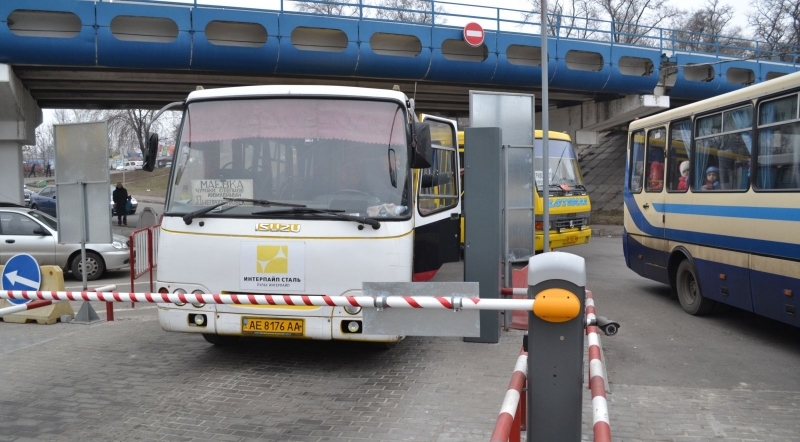 Total at the bus station in Dnepropetrovsk SEA Company has completed automation of the two entrances and two exits. 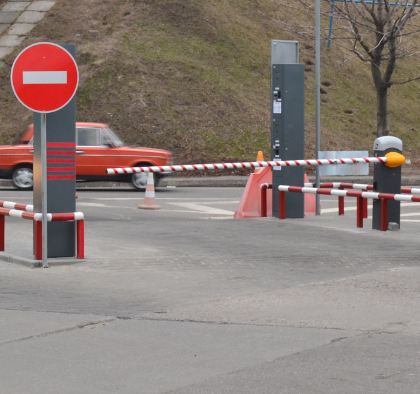 One of the entrances to the parking lot was organized in reverse mode in other words at any time through it cars not only enter the parking lot but also go out of it using only one barrier. 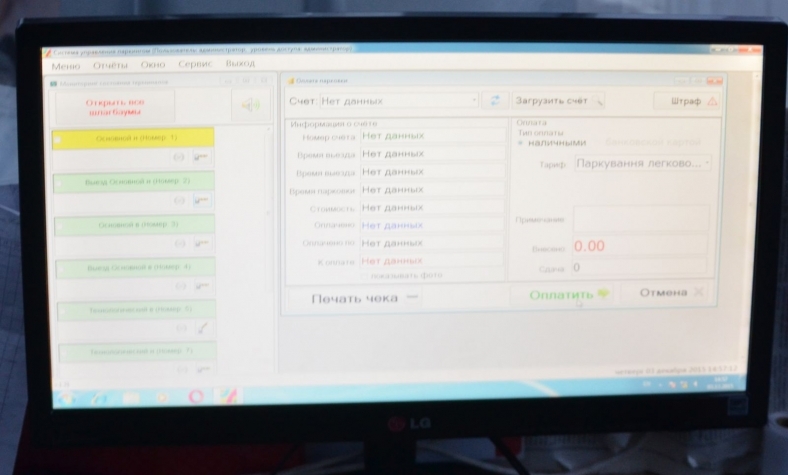 For this task SEA Company has developed special software and controllers of reverse motion. These components, together with traffic lights allow safe tracking of reverse movement. 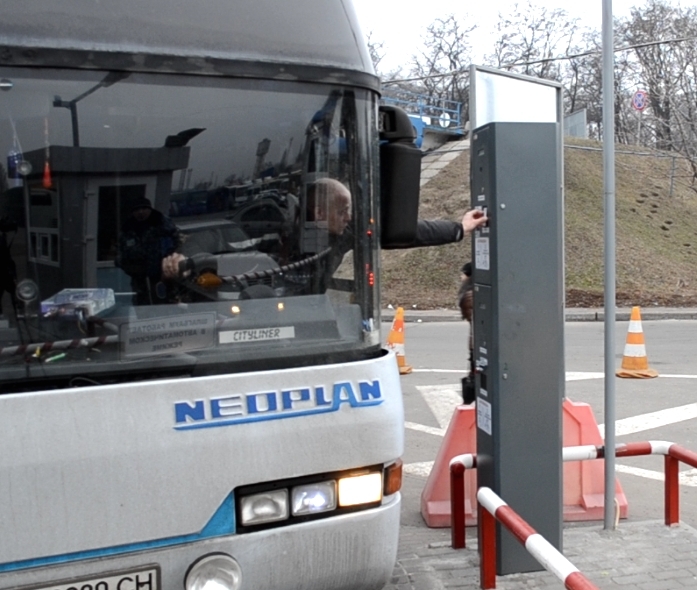 Enter and exit of the service and regular transport is provided by contactless cards which are enough to enclose the access card reader, it is located at the entry and exit terminals. For entry of temporary visitors at enter terminal provided temporary dispenser of plastic cards with increased card storage box - up to 1200 pcs. 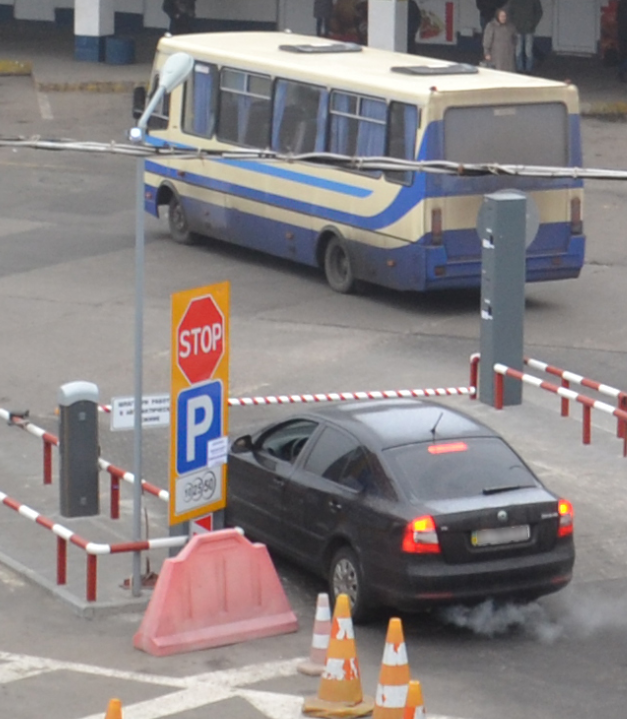 The card can be obtained, when the transport is opposite the entrance terminal, and the driver pressed the button of issuing of cards, after that will open the barrier, the green color of the traffic lights, and cars can enter the parking area. 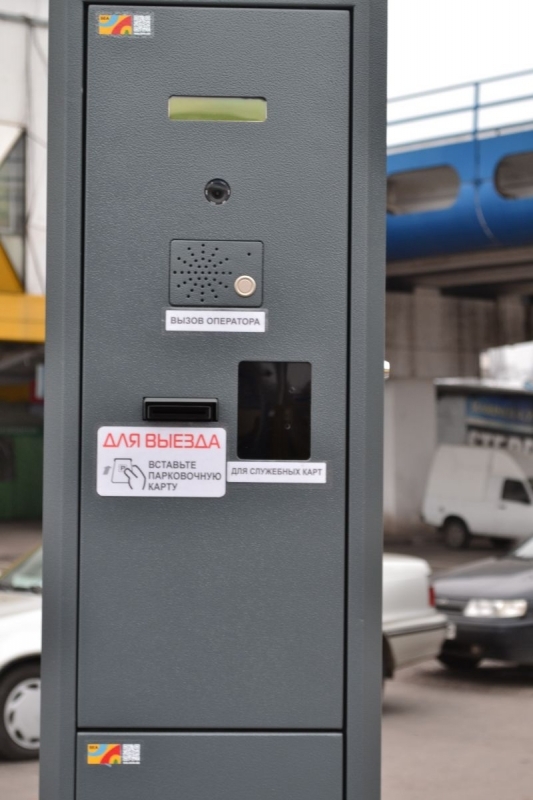 Exit of scheduled bus organized by departure on the bridge, the rest of the transport has the right to leave only through the checkpoint; drivers warned about this in advance set of traffic signs on the territory of the bus station. 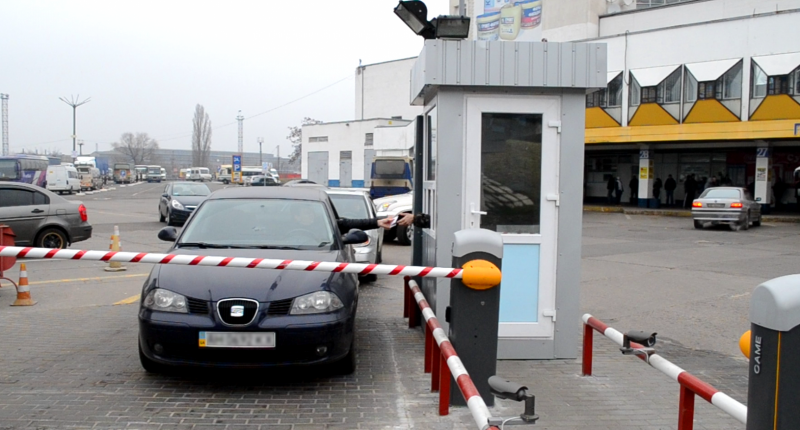 Exit of temporary visitors is organized through the cabin of parking operator, where are situated cashier's workplace, which can accept payment for time spent on parking lot. To make a payment for the parking, driver should transmit to the cashier contactless card which he get at the entrance terminal. 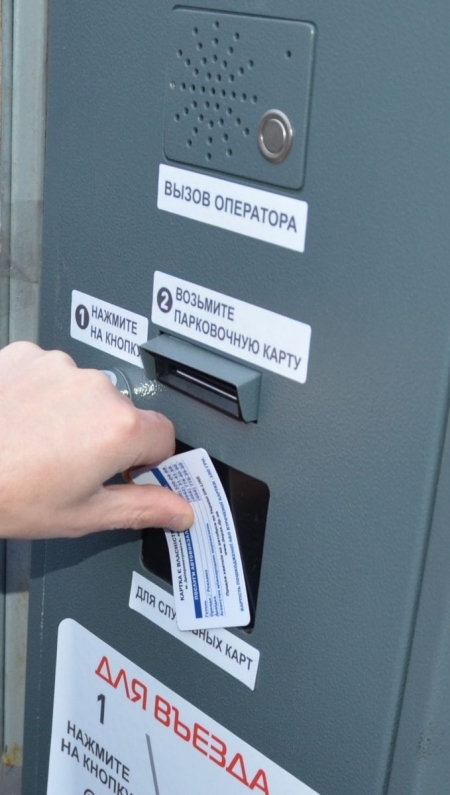 After cashier scanned card in the system, cashier will be able to analyze detailed with the history of traffic of a car, this information will indicate the time of entry of the vehicle, will display a photo of the driver and the registration number of the vehicle at the time of the opening of the parking session. 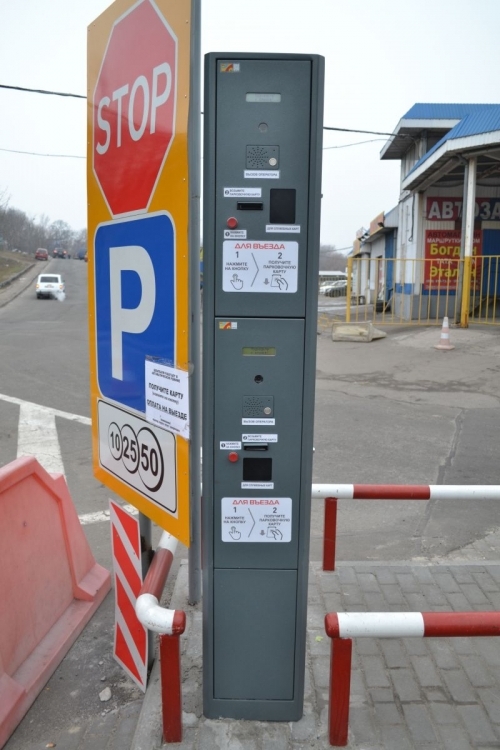 SEA Company is one of the few companies on the Ukrainian market, which have own complete production cycle of parking meters and parking equipment: from design to installation of equipment at the customer's site. In the asset of the company are many completed projects in this area. 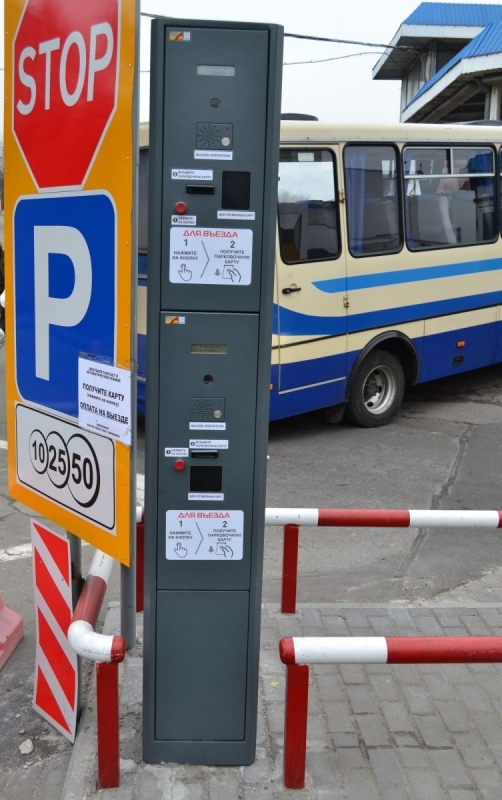 Parking facilities and parking meters manufactured by SEA Company are simple and reliable in operation, have ample opportunities to extend the functionality and integration into the development of monitoring and dispatching.